Tamworth in New South Wales is the Country Music Capital- the Nashville of Australia. If you love a good country tune, don't miss this place! 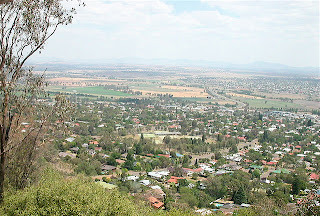 Midway between Brisbane and Sydney, Tamworth straddles the Peel River. The city's biggest attraction is the Country Music Festival in January, when thousands of country enthusiasts head into town, finishing with the industry awards. The country's top country artists, as well as overseas acts, play during this festival so it is a great time to see Tamworth. 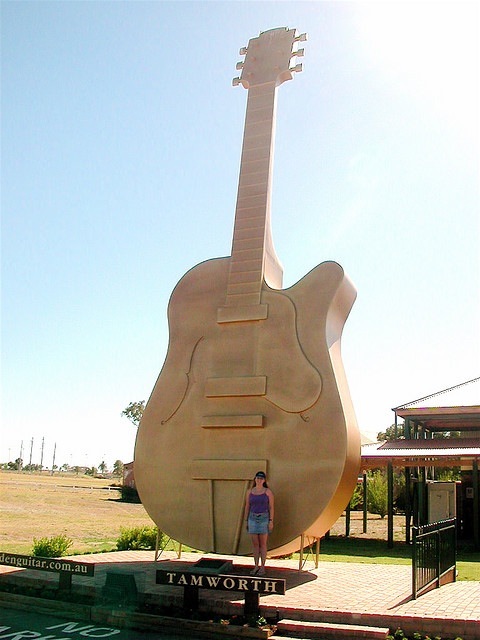 Don't miss the big "Golden Guitar" outside the tourist centre- not that you would be able to! There are also the Walk a Country Mile Interpretive Museum at the visitor centre and the Australian Country Music foundation Museum where you can catch a bit of the history of the great Country Music tradition in the area and the country. Aside from the rootin' and tootin,' there is a bit of nature to be seen- try the Tamworth Botanical Gardens in the northeast of the city, and State Forests and National Parks galore in the area if you stray outside of the city limits. See some natives at the Oxley Marsupial Park. Tamworth also has some urban excitement to entice visitors into the central city- many clubs, pubs and restaurants as well as cinemas, pools and skate parks for the kids. As to where to park your campervan whilst exploring the Tamworth area, try Paradise Tourist Park (part of the 'Big 4' Holiday Parks) or Austin Tourist Park for well-appointed campervan sites and facilities. Should you venture further and are willing to rough it a little, try a National Park campground such as Oxley Wild Rivers National Park. For Australia campervan hire, click here!